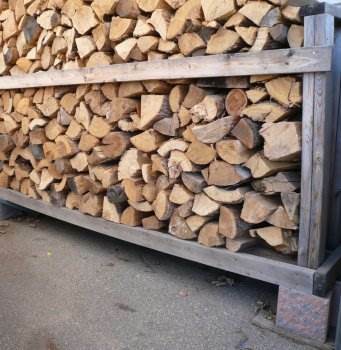 Whether you need a small wooden bin or a multi-purpose storage building, there are free firewood storage plans that suit every need. 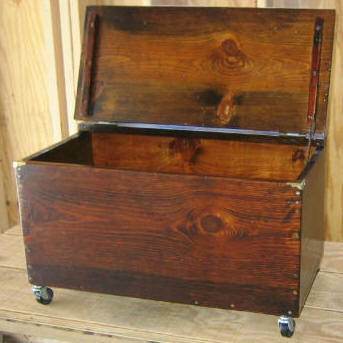 Build a hinged, lidded box to sit next to the back door or an outbuilding to hold yard tools, gardening supplies and a years worth of cordwood. Customize your plans to suit your home and lifestyle. An open shed is great for rural settings, while a cottage-shaped building adds eye appeal to a suburban landscape. Small, open racks are a quick and easy weekend project, while a multi-purpose shed is a great project to involve the entire family. Select free firewood storage plans that reflect your home's style, while providing you with low-cost, easy-to-use instructions and tips that are great for novice woodworkers or seasoned experts. Add finishing touches to reflect the style and colors of your home for a custom look that can save you thousands of dollars. Here are plans and a list of materials to get you started building a firewood shed that requires little money or time. 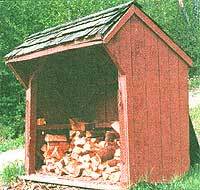 Build this tall woodshed that has a wide open front and no flooring using this plan. 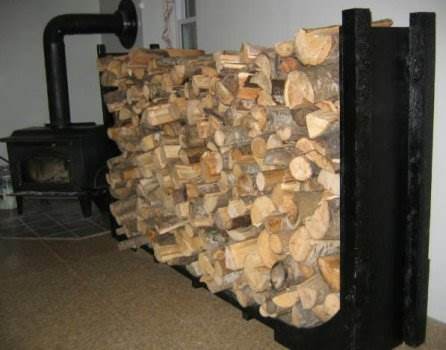 Using mainly wood scraps you can build a strong and sturdy firewood rack that will easily hold a cord of wood. Build a firewood box on wheels that works great for storing firewood and keeps wood handy for the fireplace.